For big jobs, choose a heavy-duty extension ladder, like this 24&apos; Werner Co. model rated for 300 pounds. If the only ladder on your property has been gathering dust in the garage or tool shed for years, it’s probably time to pull it out and evaluate whether it’s still capable of useful service. Ladders come in many forms and a multitude of sizes. While a ladder constructed of wood may hold up perfectly well, most of those made today are either fiberglass or aluminum. 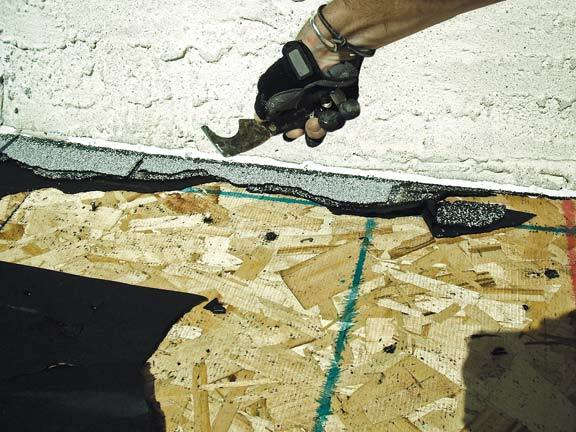 Both materials are acceptable alternatives to wood, and usually come with safety features like locking devices and slip-resistant rubber feet. Is the ladder in good condition? 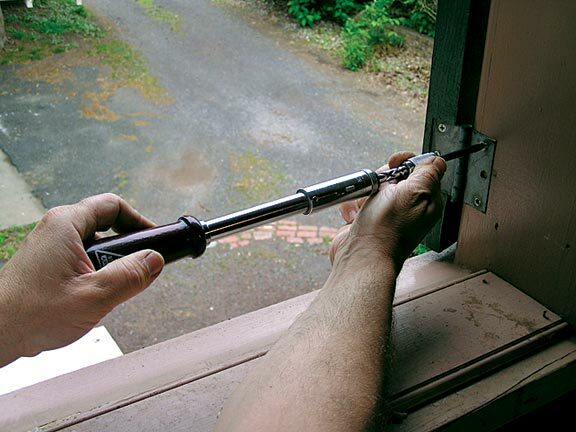 If rungs or side pieces are cracked or broken, or if the ladder wiggles or doesn’t seem secure when positioned correctly on a level surface with locked hinges, replace it. Multi-purpose and extension ladders should be equipped with easy-to-use locks that keep the ladder secure, like these from Werner Co. Does it have a high enough duty rating? Buy a ladder that’s rated to support the weight of the heaviest person likely to use it, plus the weight of any tools, equipment, or materials needed while doing the job. A quality ladder will be labeled with the maximum weight it’s designed to support, based on a standard published by the American National Standards Institute (ANSI). 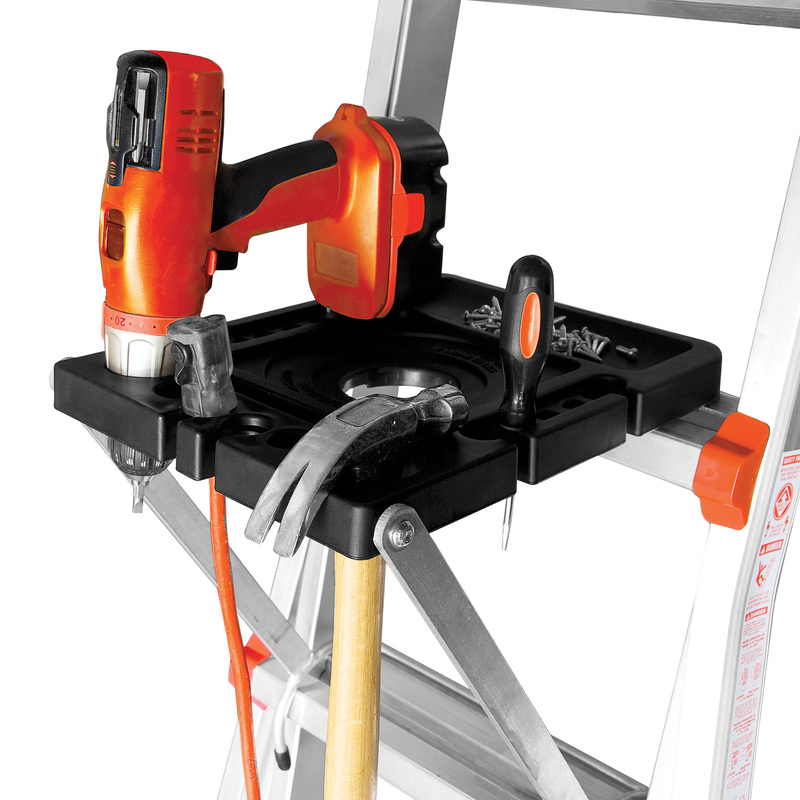 A lightweight stepladder, for example, may only be rated to 225 pounds. If you or someone in your household approaches that weight, choose a ladder with a higher rating, preferably one that is rated IA, meaning it can support up to 300 pounds. Fold-out trays that lock into place come with handy slots and bins set up for a range of tools and fasteners. This version is from Little Giant. Is it tall enough to do the job? 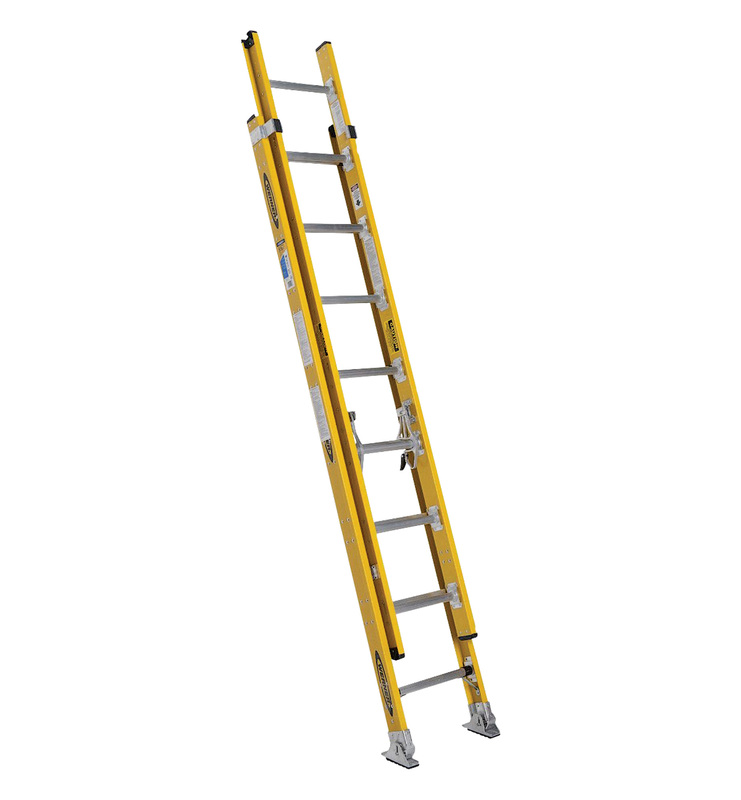 Ladders are only safe up to a maximum height, usually clearly indicated on the highest usable step. Don’t attempt to cheat by going up another step. Exceeding the maximum height significantly increases the odds of an accident. This is especially important on extension ladders: falling from a height of 10 to 20 feet is a recipe for compound fractures or even death. As a rule, extension ladders should extend at least 3&apos; above the roofline or work surface. Will you be using it near power lines or electrical wiring? Can you carry it yourself? A ladder that’s too heavy to carry is probably too heavy for use without a helper and spotter. Surprisingly, many ladders rated for heavy duty (300 pounds and up) can weigh less than 30 pounds. Be sure the ladder will fit in the garage or shed. Werner’s 16&apos; extension ladder has a 375 lb. load capacity, enough to support a large worker, plus tools, and materials: wernerco.com. and usually have a folding shelf to hold tools or paint. Multi-Use Ladders These are hybrids that bridge the gap between traditional step- and extension ladders. As a straight ladder, they can reach up to 12&apos; or more. As a stepladder, they can lock in place in an offset position—on stairs, for instance. They tend to be cumbersome, however, since they are heavier and require fiddling with multiple locking points. Little Giant’s 22&apos; Revolution XE ladder can be used in up to 33 positions and supports up to 300 pounds: littlegiantladder.com. Extension Ladders If the job requires working more than 12&apos; off the ground, an extension ladder is the only way to go. Relatively easy to set up, they’re usually more rigid than combination ladders. These straight ladders are not self-supporting, however, so they must lean against a stable support to be safe enough to use. They can also be awkward or heavy to carry, despite being light for their length. 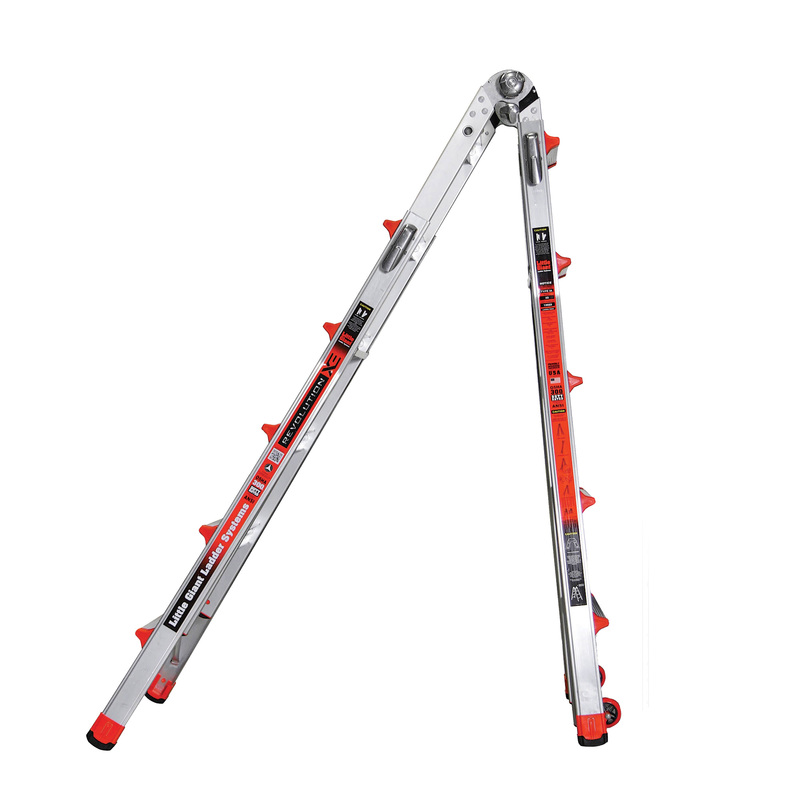 Louisville Ladder’s 6&apos; stepladder weighs only 16 pounds, but supports up to 225 lbs. : louisvilleladder.com. 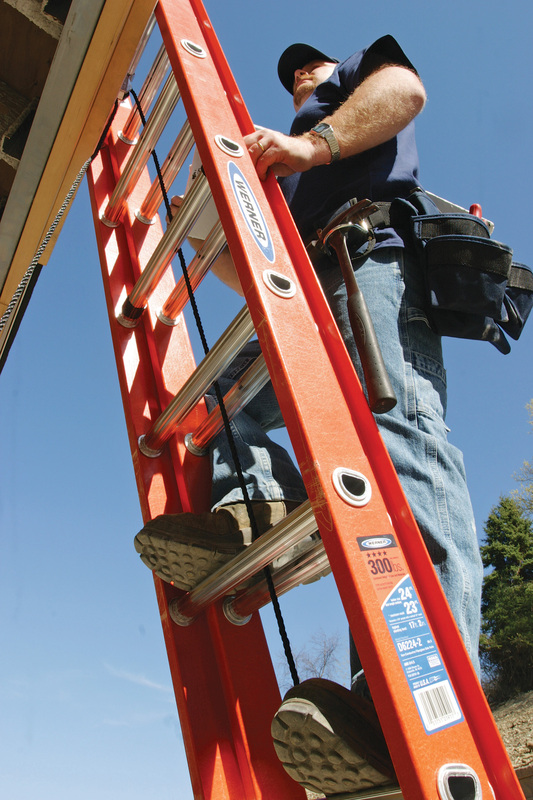 Never use a damaged ladder or one that appears to be unsafe (i.e., rickety when you stand on a lower step). • Place the ladder’s supports on a solid, level surface. • Only one person at a time on the ladder. • Never use a ladder during high winds, or on slippery surfaces (ice or snow). • For stepladders, make sure the ladder is completely open with the hinges locked before climbing. 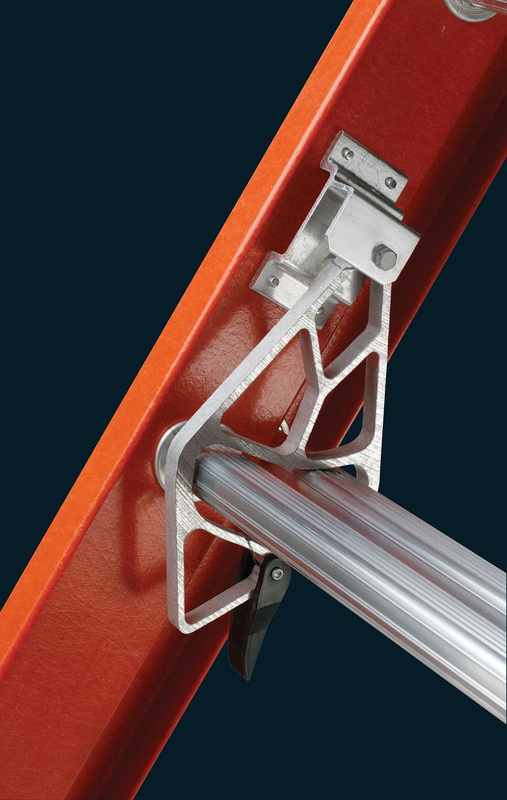 • Position an extension or straight ladder at a safe angle against the house or wall. (If the angle is too steep, a person on the ladder can tilt backward as they approach the top.) Set the ladder at least 1&apos; away from the wall for every 4&apos; of height. • Check that any locks are secured on adjustable or extension ladders. • Face the ladder and maintain three points of contact when climbing (two hands and one foot, or two feet and one hand). • Use a spotter on the ground to make sure the ladder stays steady, preferably by supporting the base when the ladder is in use. • Use a tool belt or towline to convey any materials for the job so that hands are free when climbing. Conversion Ladders Room for just one ladder in your shed? 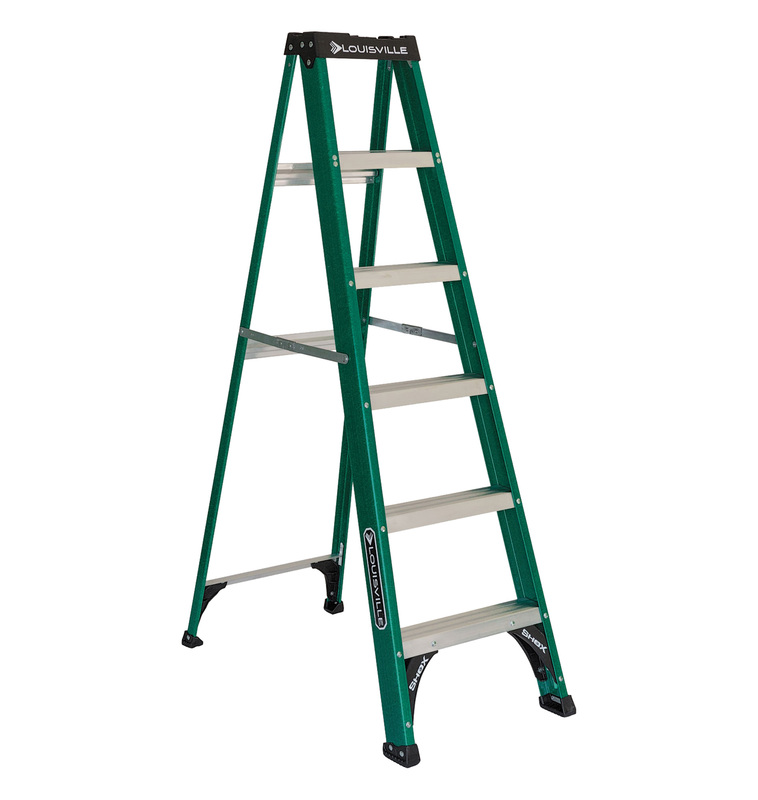 Consider this all-purpose type that opens like a standard 6&apos; stepladder, but converts to a push-up extension ladder to double your reach. You need more than your trusty Electrolux to tackle shop duty. 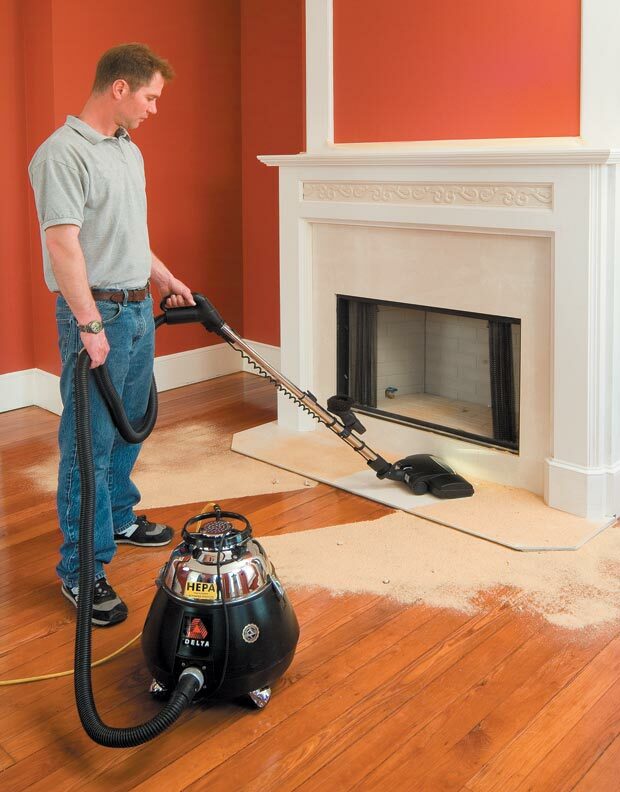 Fortunately, today's utility vacuums are equipped with more features than ever before.